Accounting procedures are carried out in every business. There are accounting firms especially set up for assisting companies in their accounting tasks. Of course, there are in-house accounts departments that can fulfill the same responsibilities. Accounting is a very broad field and there are a number of forms which exist as necessary prerequisites for carrying out different kinds of tasks and operations. Let us give you a lowdown of some of the most popular accounting forms which are frequently used. 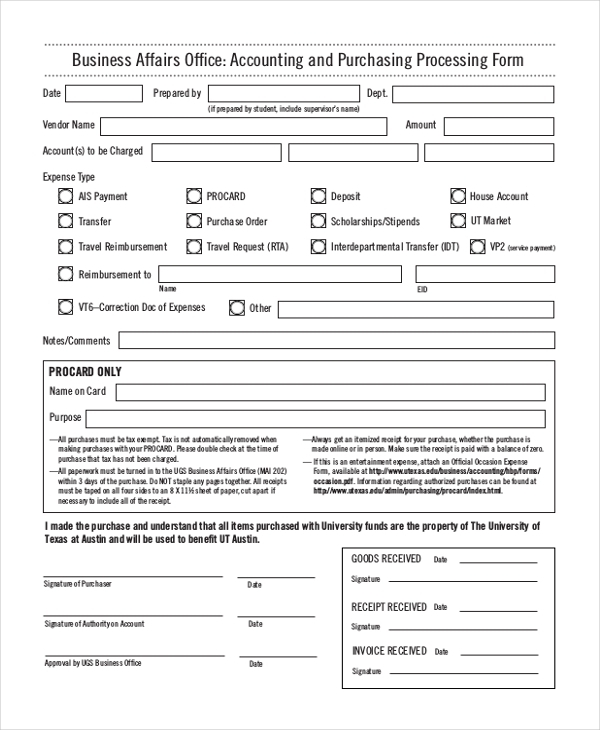 A blank accounting form is a versatile document. Ideally, it is used to assist in carrying out routine accounts related tasks. 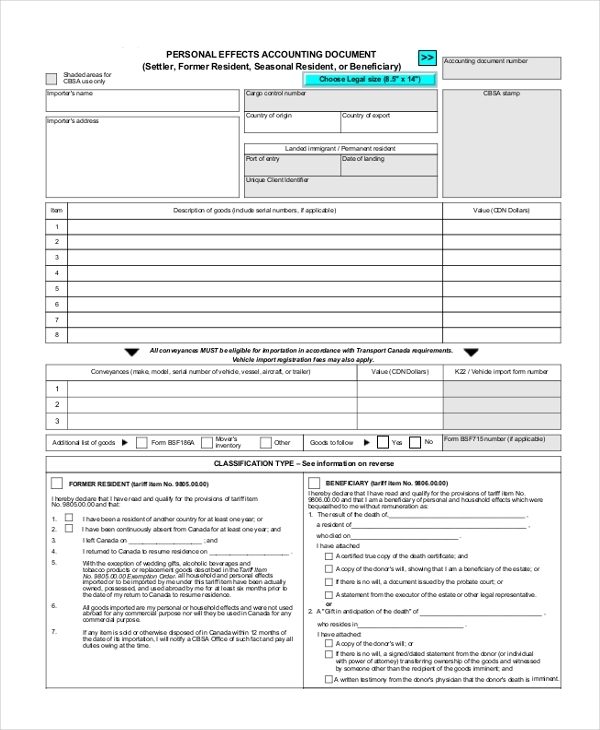 You could use a accounts form for assessing your salary or other monetary transactions. 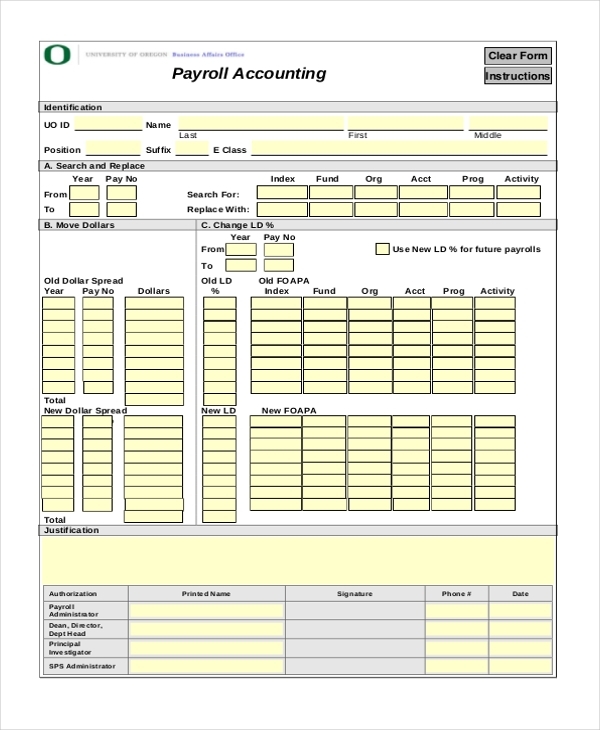 A basic accounting form is useful for a variety of accounting jobs. 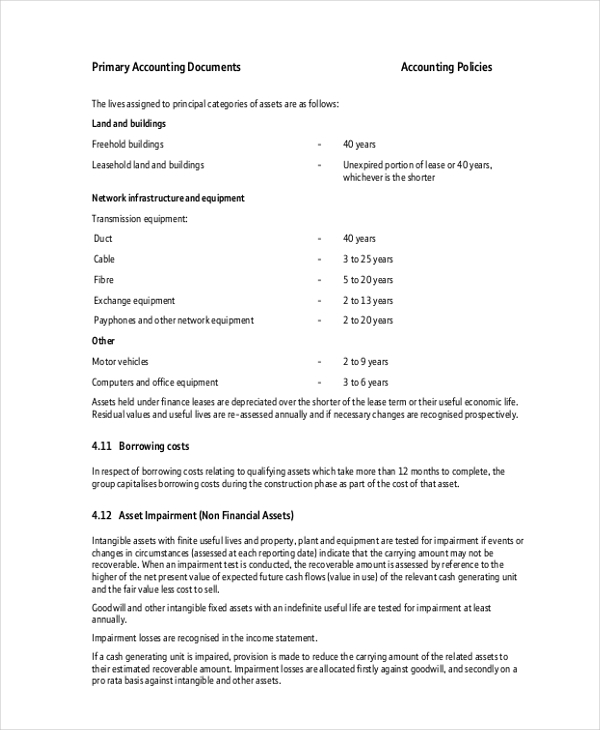 If you need to present an accounting statement for your personal effects – personal and professional – a basic accounting form is good to be used for the purpose. 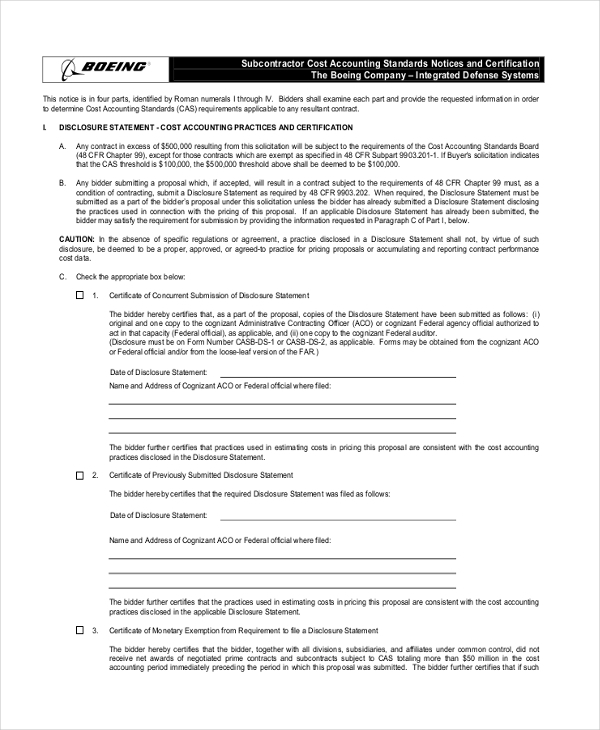 A business accounting form is used to conduct the accounting of purchase orders fulfilled from or different vendors and suppliers that are or were associated with a company. 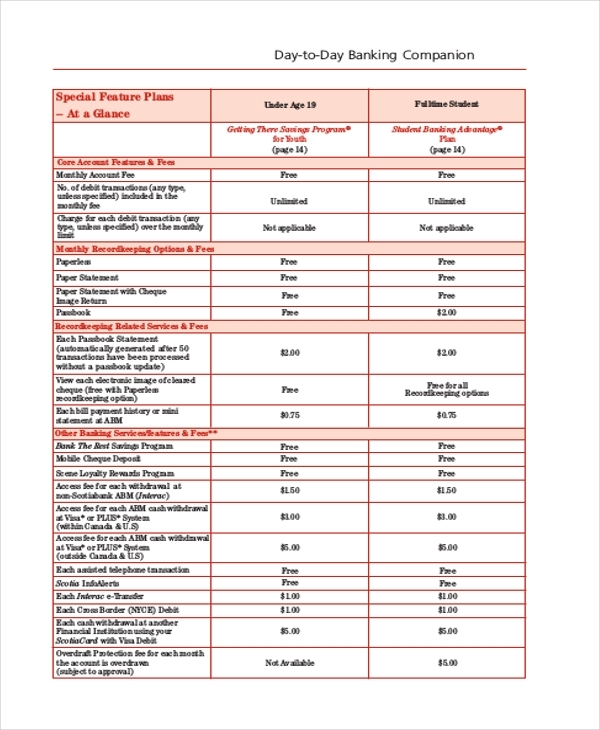 The vendor’s name and the amount payable must be specified. Also, it must be indicated whether this a purchase order or a funds transfer. 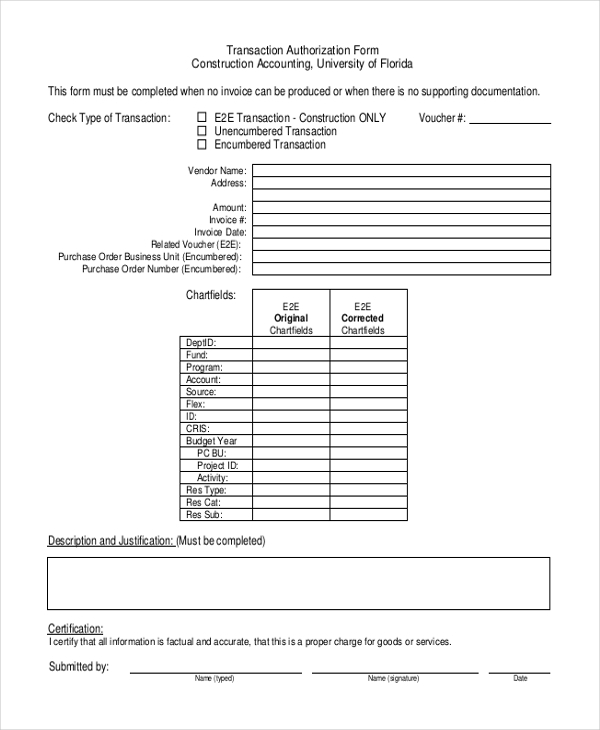 If a constructional activity is going to take place or has already occurred and got fulfilled and the amount has to be paid (in advance or post-completion), a construction accounting form needs to be populated with the accurate details including vendor name, details, amount, type of transaction etc. If an individual would like to make note, check and verify his day-to-day accounting activity, this can be accomplished making use of a daily accounting form. 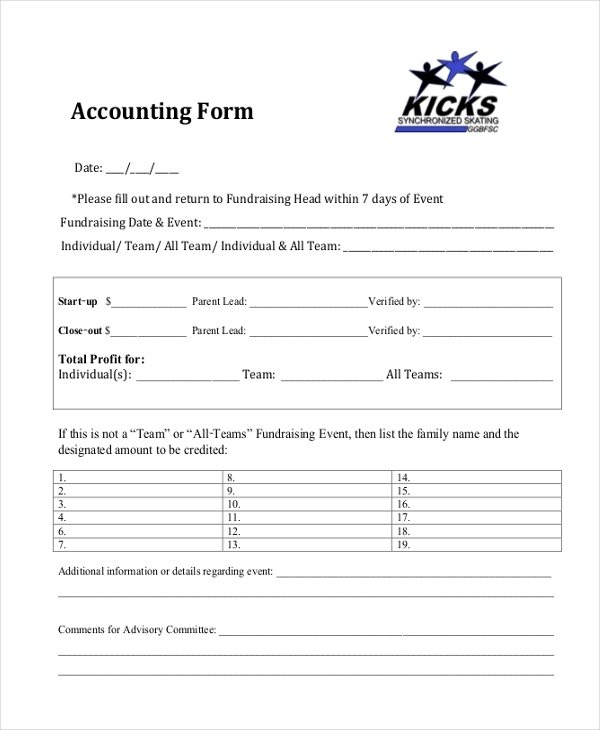 There are various fields in this basic accounting form. All account-related details need to be populated in an accurate manner. A general accounting form is more or less universal. It can be used for a variety of purposes. Be it reimbursement of expenses accounting, or accounts billing for purchases made etc, a general accounting form is handy in many respects. 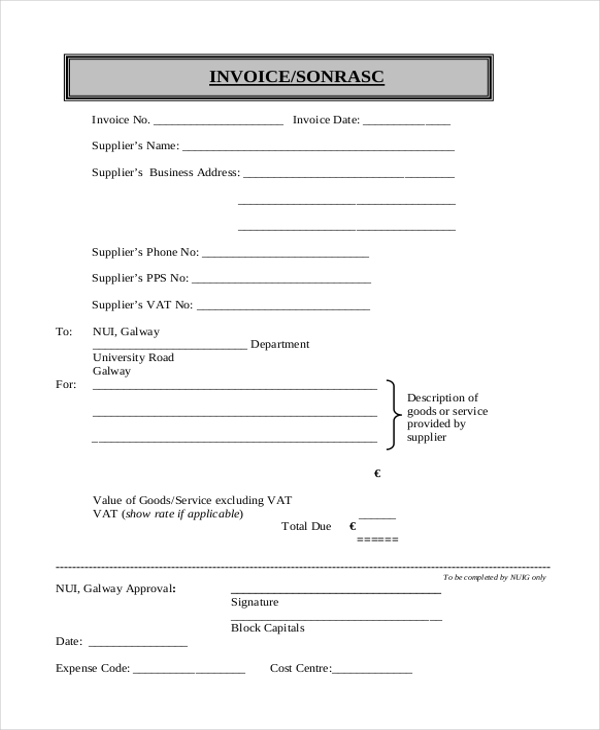 This is a simple invoice form which needs to be filled with all the necessary specifics – including supplier name, address, supplier contact details, description of goods or services provided, Value of Goods (Including and excluding VAT charges if applicable). It is no secret that a big number of forms and documents exist and are needed to fulfill different kinds of accounting procedures. These are internal and external. The latter type of accounting documents is handed to parties outside the company as proof of a transaction handled by the company. The former are generated and maintained internally within the organization. 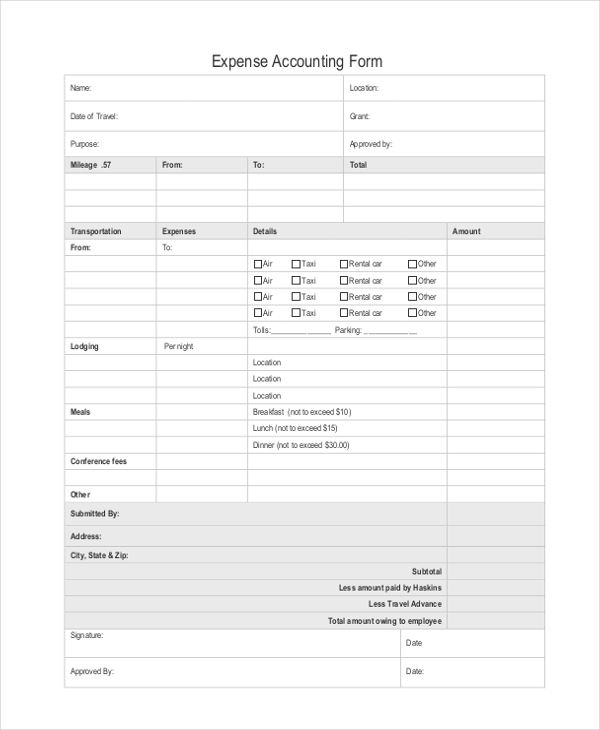 An accounting expenses form is used to calculate and present records of expense which an employee may have incurred on behalf of the company or during an assignment from the company. The form is used as reimbursement claim for the expenditure incurred by an employee. Combining the principles of monopoly game and accounting, monopoly accounting was created to make accounting classes become interesting for students. The basic task of this endeavor has four players involved and they need to participate in various accounting tasks while playing the game. Prepare and maintain a balance sheet and income statement. 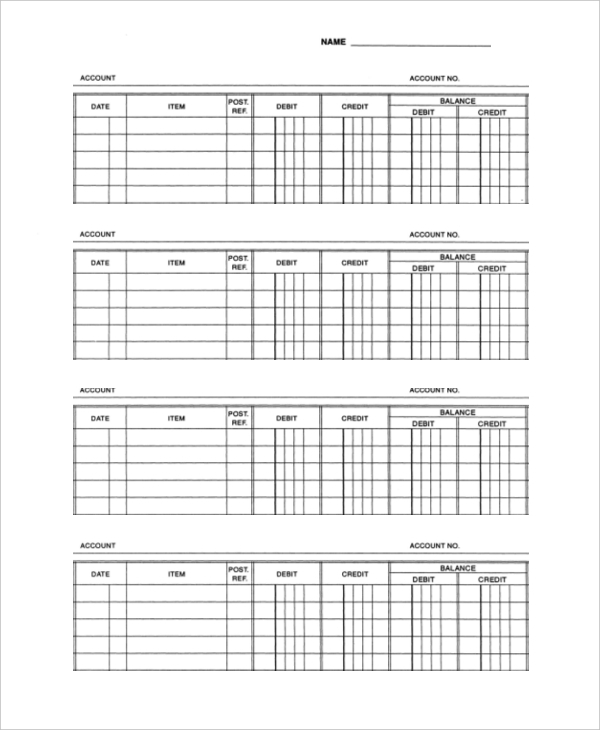 An accounting reconciliation form is used in a scenario wherein a bank account holder wants or needs to ensure that the balance amounts in two bank accounts are in concurrence. 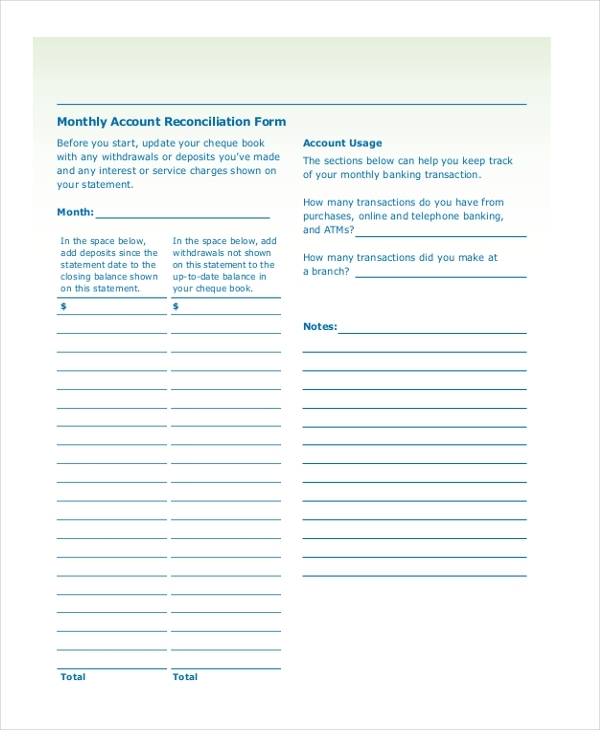 A reconciliation form is filled and filed to make sure that money leaving the account is in tandem to the actual money spent. An accounting services form is useful in events of salary reduction or increment specifying either in clear terms. 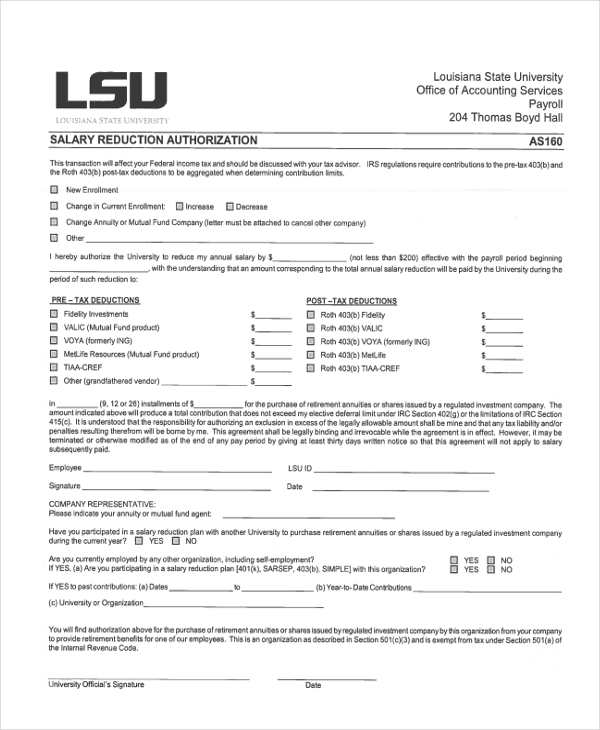 The kind of form can be used for new recruitment as well as existing employees. The revision needs to be specified correctly and precisely. In a company, if an employee’s salary requires revision of some sort, the details need to be furnished in a payroll accounting form. All the dates and other numeric figures need to be specified correctly and accurately. After submission, the assessor will verify the alterations and approve or disapprove accordingly. The target audience of accounting forms varies and depends on the fact that who is at the receiving end. If for instance, we’re speaking in terms of external forms such as invoices, vouchers, payment receipts, these are mostly given to outside parties or vendors. 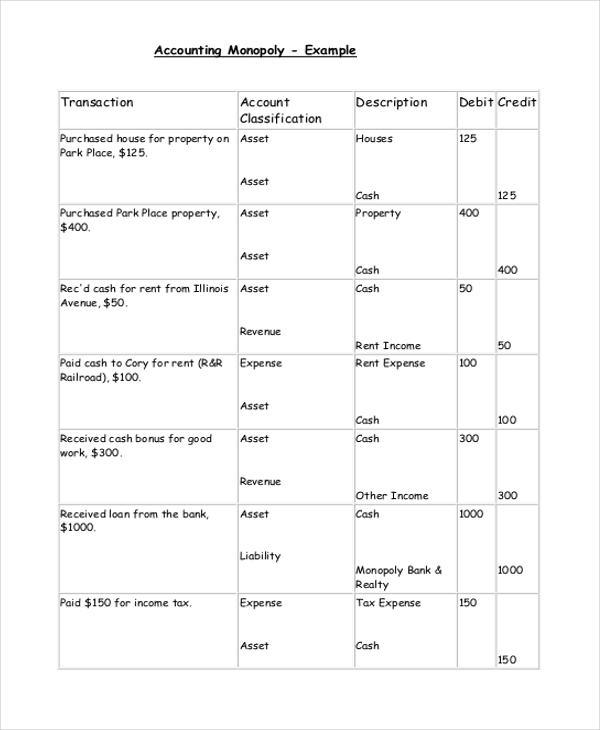 Internal accounting forms – such as bank account statements, etc. are generated and circulated internally for record-keeping and monitoring reasons. Depending on which kind of account form is in use, its target audience is determined accordingly. Accounting is a documentary job. It requires the participation of different kinds of accounting forms to accomplish different kinds of accounting tasks. The use of a particular accounting form is a directly proportionate to the relevance of the task or accounting operation which it is being used for. For example, if an invoice needs to give to a vendor or supplier, an invoice accounting form will be generated and handed over to a vendor or supplier. The biggest benefit of accounting forms perhaps is that they are documents, paperwork. And as is the case with documents, they are in written, and can be recorded and maintained as proof of transactions – occurred, canceled or nullified. The details provided in any kind of accounting can be used for reference and verification reason at later stages, should such circumstance or situation emerge. Companies – big or small – need to and must use accounting forms for the benefit of record-keeping for all the transactional activity which takes place internally and externally. As long as money is involved in transactions between businesses, accounting forms are going to exist and be used. Accounting forms are diverse and cater to meet the needs and demands of different kind of accounts-related scenarios, and for this reason alone, accounting forms will always remain a crucial part and parcel of accounting practices and procedures will take place.